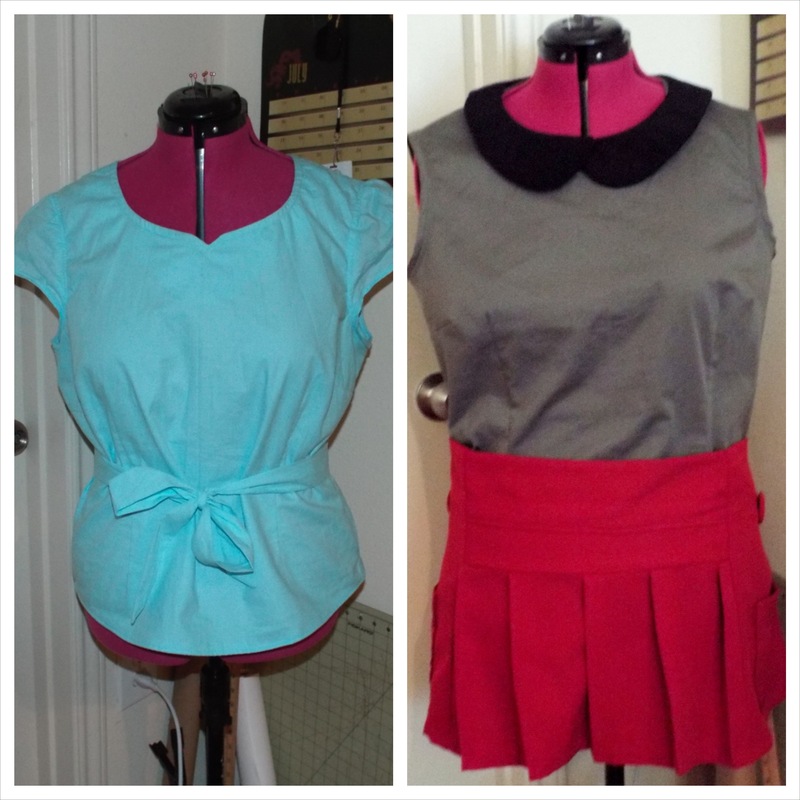 I originally planned to sew up doubles of Colette’s Sorbetto (another contender from last month’s challenge) for this month’s challenge, but I had a whole slew of issues with it. I’ll probably post about it later this week. Fortunately, I’ve sewn duplicates of a few other garments this month, one of them being another Alma blouse! Left: March challenge Right: This month’s challenge. Fabric: 1 1/2 yds of grey cotton sateen with 3% spandex from Jo-Ann’s. I’ve had a streak of good luck from Jo-Ann’s lately and I really hope it continues. 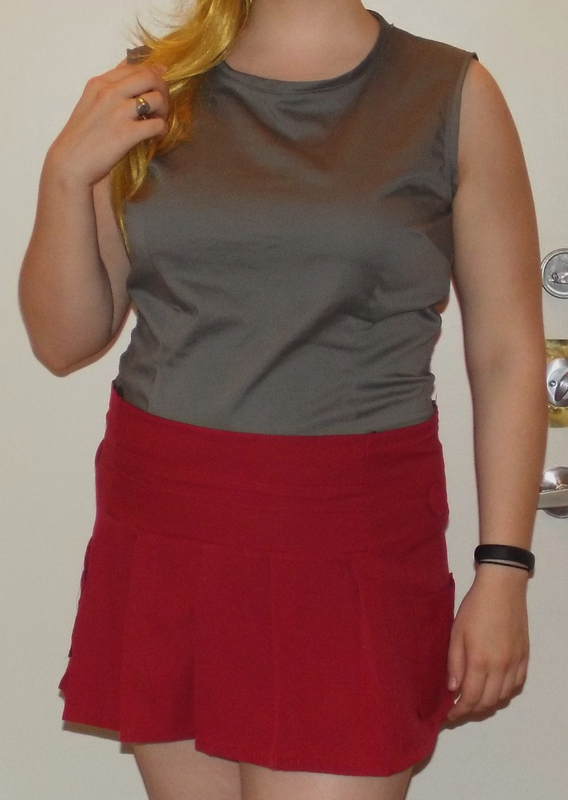 Alterations: Ditched the sleeves and used the bands for the cap-sleeve version to finish the arm holes. 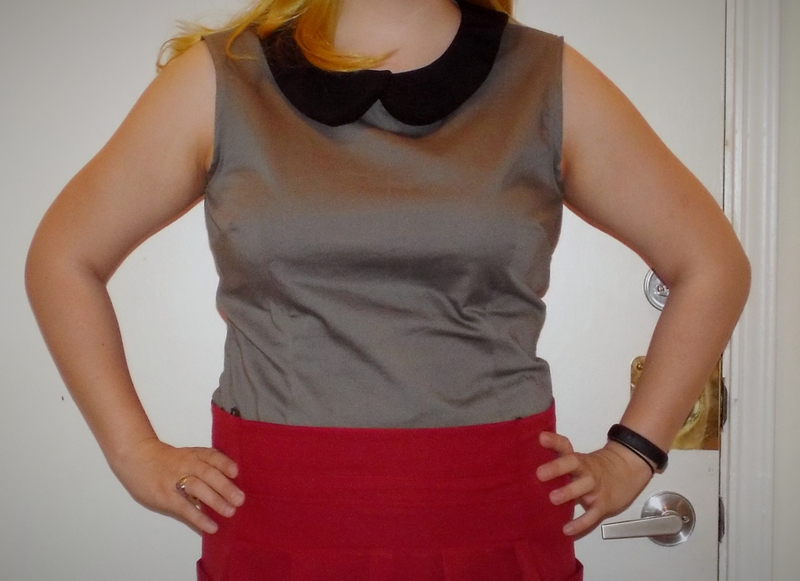 I made the collar detachable using snaps. I also added 2″ in length. Make it again? : Definitely. 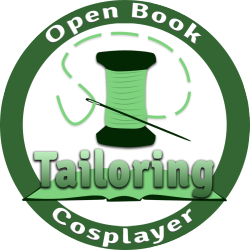 I’d love to make another version for work in the near future. Favorite parts: The overall shape. It’s absolutely perfect for my trainer cosplay. Other thoughts: This is definitely a happy marriage of material and pattern. 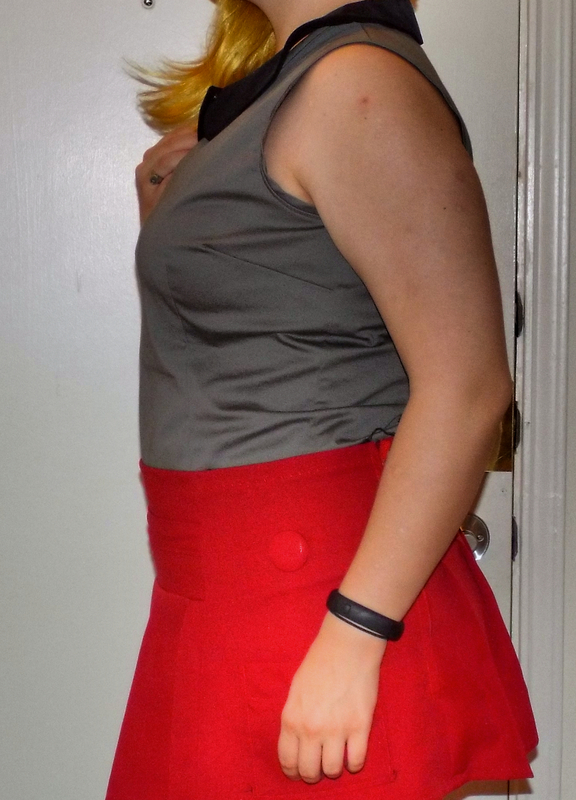 My original plan was to stashbust some linen and use the Sorbetto when I couldn’t find this pattern (I need to organize. Bad). Fortunately, that plan was a disaster and I stumbled across this lovely fabric when I was out shopping for supplies a few weeks ago. The spandex is great, because it’s just enough to allow me to pull this over my head sans zipper. There’s not much else to say about this blouse. I still really like it. It was nice to have something come out well after a series (see: 4) of Sorbettos that just don’t work. 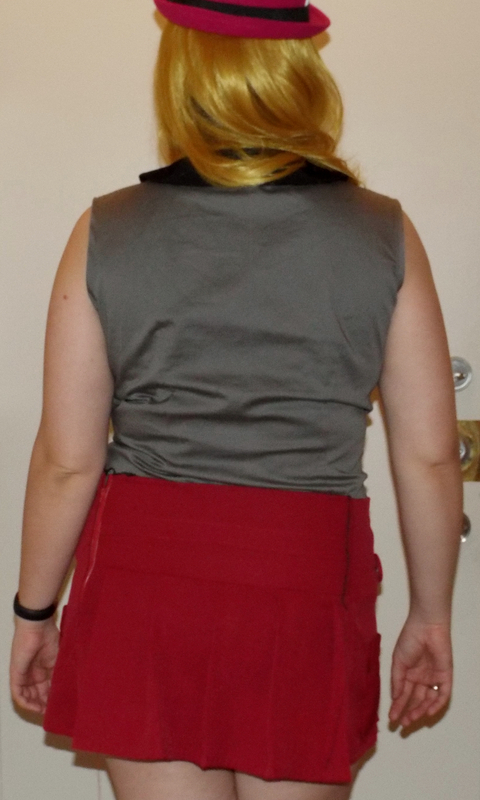 I definitely need to make swayback adjustments to this top in the future and possibly full-bust adjustments. But for a costume/work piece this totally fits the bill. Thinking about taking this in a bit more at the waist. Definitely need to look into a swayback adjustment for future blouses. I’m standing slightly lopsided, which makes it extra wrinkly. No zip! Also, look at that fabric covered button. I am so happy with how that turned out. No collar! Peter Pan collars are super cute, but they always feel too cutesy on me. This way, I can wear this top to work and not feel silly. I finished off the neck with bias tape made from the same fabric. I like how versatile it is with and without the collar!